If you have cancer then you may be treated with chemotherapy, radiation or hormonal treatments like Tamoxifen. All these will damage and deplete the necessary nutrients the keeps your bones healthy and strong. Many with cancer have their cancers metastasized to the bones. Doctors trying to prevent the cancer from adhering and invading the bones have sought to strengthen the bones. Often bones become weakened using chemotherapy drugs or having radiation used to treat the cancer, even Tamoxifen will weaken the bones. Trying to stop the deterioration of the bones from the cancer and the drugs used to treat it, doctors prescribe bisphosphonates. These drugs are used to harden the bones. Often these are used for osteoporosis, now used for cancer patients. Bisphosphonates inhibit osteoclasts digesting bone. Bone constantly turns over cells, a balance of cells is accomplished by osteoblasts that create new bone cells and the osteoclasts that digest bone cells. Normally osteoclasts undergo apoptosis, the normal dying off or cell suicide. When bone loss is greater than bone growth bisphosphonates encourages apoptosis of those out of control osteoclasts. You are taking bisphosphonates if you are taking one of these drugs: Fosamax, Reclast, Zometa, Boniva, Aredia – there may be others. If you don’t know ask your doctor or pharmacist. Before the use of bisphosphonates in medicine, they were used to soften water in the irrigation of orange groves. It was discovered they prevented the dissolution of hydroylapatite , that is one of the principle bone minerals, thus inhibiting bone loss. 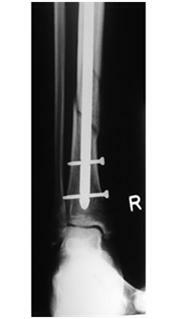 The problem is that after years of use the bones become weaker and fractures occurred. Other side effects noted were, femur fractures, esophageal cancer, osteonecrosis of the jaw [a condition causing painful crumbling of the jaw bone]. Other side effects, inflammation of the stomach, pain in the joints, nausea, and esophageal inflammation, to name a few. But to build bone loss you don’t have to use bisphosphonates. Strontium, in the form of strontium citrate, taken orally daily using 680 milligrams has been known to reduce the risk of fracture. The same study noted an 11.4 percent increase in bone density using strontium. The body has about 320 mg to 400 mg of strontium in the bones and connective tissue. It very close to Calcium and in fact uses the same protein carrier to transport it to the bones. When supplementing you should always separate your strontium and calcium supplements with a few hours in between. For bones to be strong yet flexible you need proteins. Bones are rich in proteins, which as we age or when we are exposed to drugs or chemicals, like radiation or chemotherapy our bones lose proteins, we add calcium but like a piece of chalk, our bones can break because they are brittle. There is absolutely no scientific evidence that taking calcium carbonate (Tums, and other OTC antacids as well as oyster shell, dolomite, coral calcium or calcium hydroxyapatite or combinations containing them, have any bearing on the incidence of osteoporosis. For good protein absorption in the bones, fats are needed. Perhaps that good glass of raw milk wasn’t such a bad idea after all, lots of calcium, fats and protein. The best source of proteins can be found in protein rich herbs. One of the best sources is barley green [see below for excellent source] A good fat can be found in organic dairy, avocado, krill oil, etc, will assist you in absorbing the proteins. Building and maintaining our bones is not just about calcium or Vitamin D, we need things like Silcon or Silica to maintain the structure of the bones. We can get Silica in whole grains, green beans, even beer but all this does not give most people enough for our bone health. Silcon is needed for proper calcium as its job is to attract the calcium to our bones. Without a proper balance of silica our bones run the risk of fracture. It is part of foundation; if our foundation is weak how can we hold up. One of the best sources of silica in its organic form is Bamboo Extract, research suggests 40 mg of Silica is needed each day. Too much parathyroid hormone raises the blood level of calcium by releasing calcium from the bones and teeth, this over activity of the parathyroid hormones indicates a boron deficiency. It is essential not to our bone health and teeth but an essential element to balance hormones, brain health, heart health, vision and other important body functions. You need as experts claim an average of 3 mg of Boron daily and using a therapeutic dose of 6mg to 9 mg over the day. It will help therapeutically to help with Lupus, arthritis. Fractured bones heal in half the time, it helps pain, swelling and stiffness in the bones and joint. Magnesium has a key function in numerous biochemical reactions that are necessary for bone strength and metabolism. This mineral regulates active calcium transport and might play a role in stopping bone fractures. Most people that have bone problems are depleted in magnesium. About 60 percent of dietary magnesium is stored in the bones, while muscle and other tissues use the rest. Vitamin D3 the sun vitamin – without it our bodies fail us, yet is simple to get an sufficient amount. Without a sun block, 10 minutes of sun exposure on your skin three times a week is allows the body to produce enough Vitamin D. There are some that say 20 minutes of sunlight gives the body the needed Vitamin D.Most people in spite of the ease to which we can get Vitamin D are still deficient. Calcium absorption relies on Vitamin D, Vitamin K is needed for Vitamin D to properly regulate. The best supplementation if you need to supplement is to get a combination of Vitamin D3 and K2. Some Organic sources of K2 is eggs, organic soy, meats, and organic dairy. There was a study done on rats where they had broken bones, those rats given a hefty dose of D3 had healed bones; the other rats healed poorly with uneven bone knitting. Most are told Vitamin D is a vitamin but research shows us it is hormone that is needed for repairing our body, without the proper level to initiate full repair we our bodies only do a temporary fix: the amount that the doctors claim is sufficient for a temporary fix, or survival, near 50 times that amount is needed to initiate a full repair response. Have you ever seen those majestic trees used for ship’s masts? Well those trees hold a key secret in how our bones hold together; while all these things we have discussed there is one element that we need to ‘glue’ them all together, keeping the molecular matrix all straight and perfect. Organic Sulfur binds and holds the structure of our bones together; binding them makes the minerals hold and work together to create and maintain strong healthy bones. So what does it take to build strong bones? Vitamin D3 with K2 – organic sources best or balance supplementation These have to also be used for proper calcium function and absorption. Organic Calcium – barley grass – excellent source –must be organic, just taking calcium doesn’t guarantee proper absorption, when you get it from an organic source it will have other necessary elements with it for proper absorption. Raw milk is another good source that has D and K included. TENS therapy – this has been shown to help the rebuilding of bones to increase in as much as 2 times the normal rate.